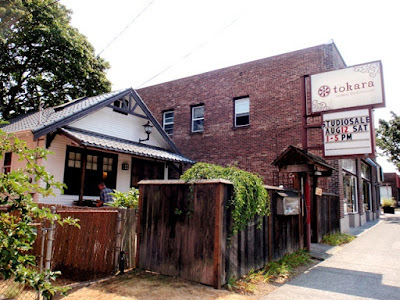 Chika Tokara has been providing the Seattle area with beautiful authentic Japanese sweets handcrafted in her Phinney Ridge studio since 2008. Prior to moving to Seattle, chef Tokara studied professional wagashi making in Sendai and Kyoto for over seven years. Wagashi are delicate confections unlike most western sweets in texture and taste, though some could be loosely compared to marzipan and soft gelled desserts. With names referencing poems, nature, legends, and historical events, wagashi are most often encountered at Japanese tea ceremonies, in specialty cafes and restaurants, or given as gifts. Tokara offers a selection of handmade seasonal wagashi each month, relating to the flower calendar in Japan as to local seasonality. 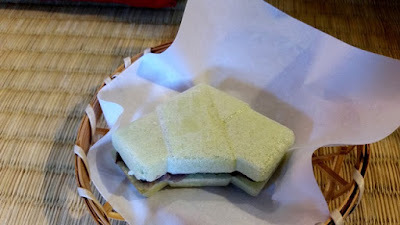 Tokara's wagashi is available at local businesses or wholesale. 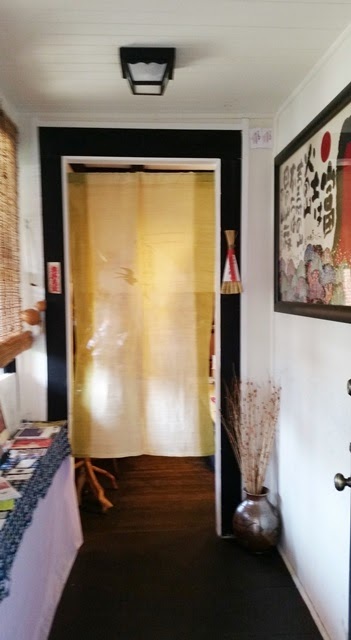 The studio itself is only open to the public for a tohryanse (open house) on the third Sunday of every month. Tokara celebrated her 10th Anniversary in August and I couldn't pass up the opportunity to attend the tohryanse. Entry to Tokara's courtyard is through a gate draped with a noren (split curtain). 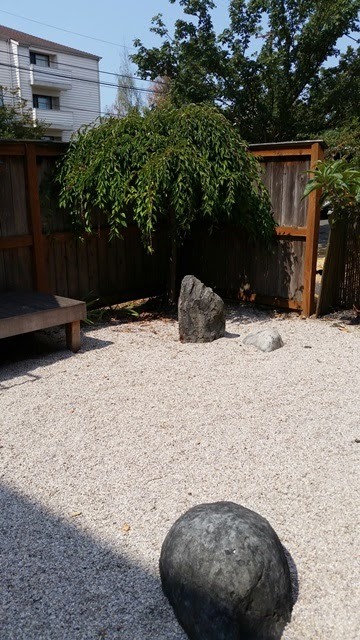 Inside the gate is a small zen garden-inspired courtyard with bench seating for guests. At the time of my visit, an artisan was selling bowls, trays, and other woodwork outside the studio entrance. Once inside, pass through the small lobby and through the curtain to the central studio space. 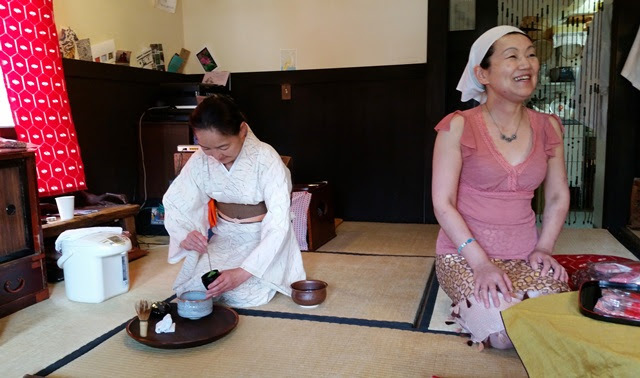 At a tohryanse, tea is usually prepared by local tea ceremony practitioners and people in the tea industry. 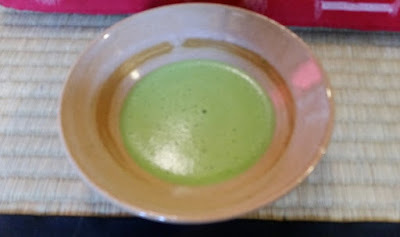 For a small donation, guests can enjoy a bowl of matcha and a sweet. 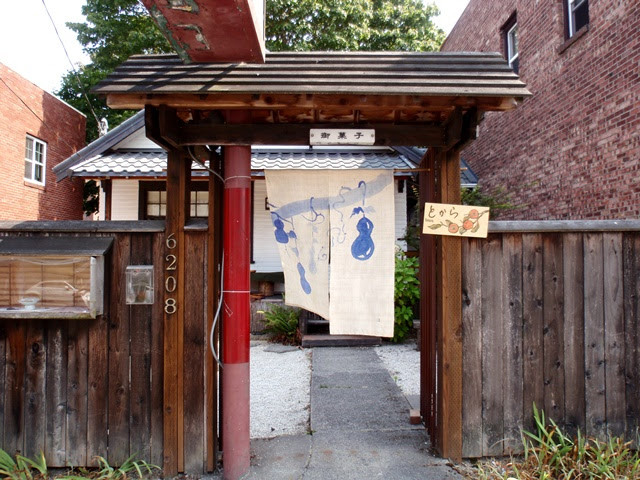 There may also be a performance by a local musician or dancer. 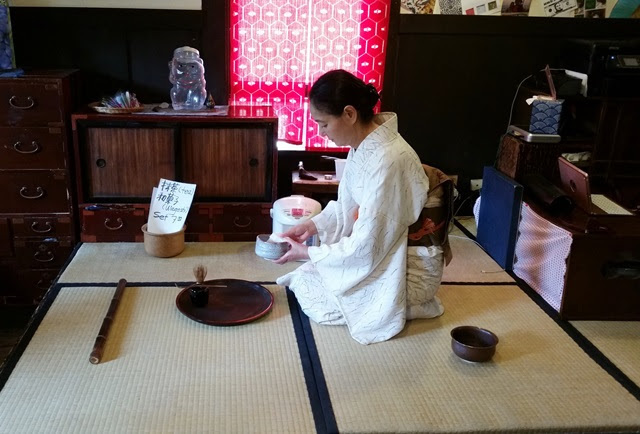 On this occasion, tea was prepared by Chiaki Ito, licensed teacher with the Yabunouchi School. Special seasonal boxes of wagashi selected for the occasion by Tokara are the highlight of the tohryanse and are available by advance reservation only. No reservation is required for drop-in guests and a limited selection of sweets not included in the boxes are usually available. My thanks to Chika Tokara for the warm welcome and delicious wagashi and to Chiaki Ito for the beautiful tea ceremony! Follow Tokara on Facebook for announcements and special events.